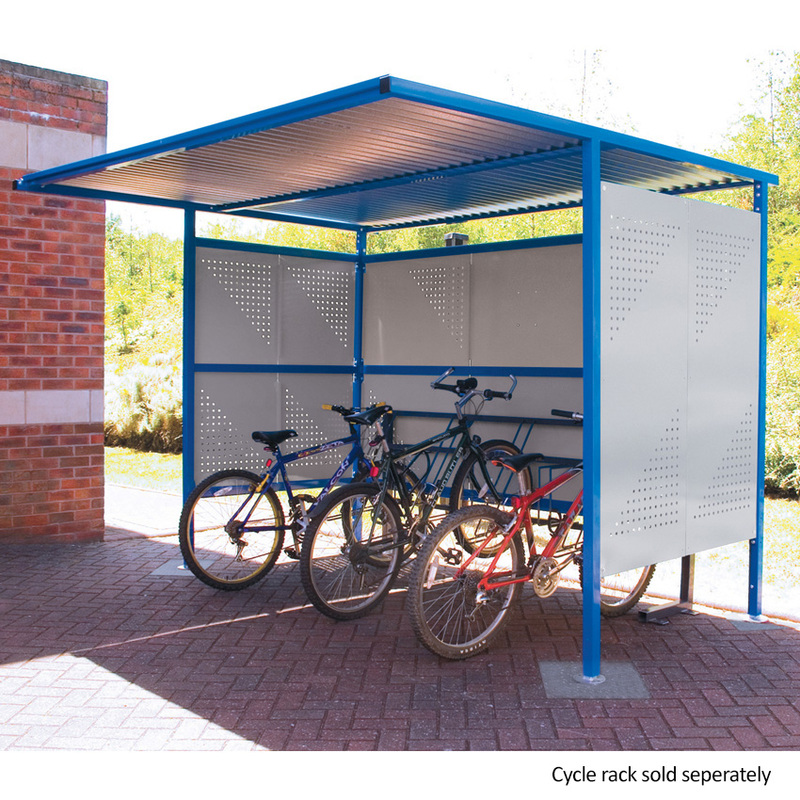 Guarantee that your employees and visitors bikes remain in tip-top condition with our 2500mm deep cycle shelters. 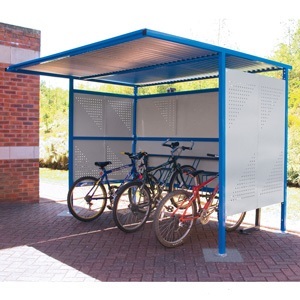 At 3060mm wide these are the largest shelters in our traditional cycle shelter range, most suited to car parks and open areas where space is not at a premium they represent the ideal investment for those looking to encourage staff members to use greener forms of transportation. 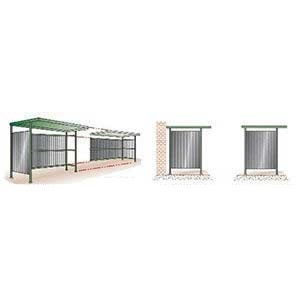 Constructed from quality galvanised steel each shelter is fitted with a sloping roof designed to allow rainwater to drain down and away from the contents. 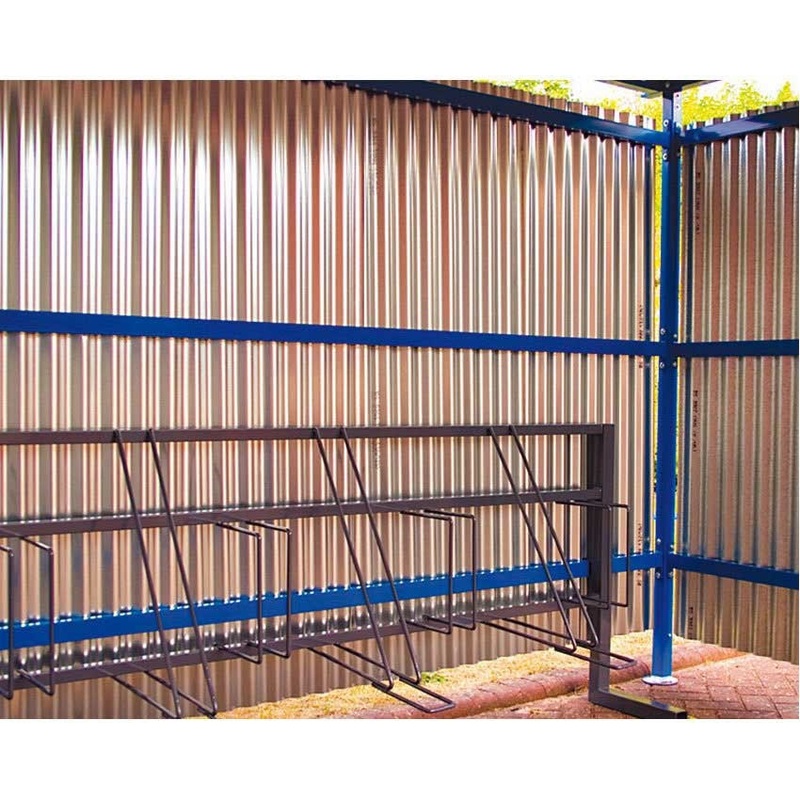 Our open back shelters, ideal for surface mounting near walls and other structures are available at a lower cost; alternatively each configuration is available with a back panel to provide a more secure stand-alone shelter. Other sizes are available for the traditional cycle shelters including 2450mm wide, 2500mm deep shelters. 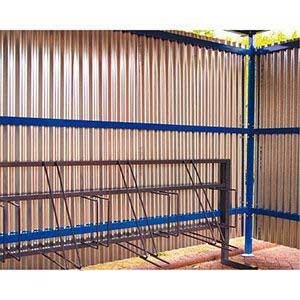 Smaller, 2450mm & 3060mm wide, 1900mm deep shelters are also available. To create long runs, identical extension bays can be brought for each main shelter, each extension bay has the same options to choose from as the main bays to create the appearance of one large shelter.